Rose Franklin is a normal girl out riding her bike when the earth gives away beneath her and she falls into a giant metal hand. She wakes up in a mysterious room with walls covered with foreign carvings. Years later, Rose is grown up and she is the lead scientist investigating the room and the hand. As the pieces start to come together, Rose and her colleagues learn that the thing they have discovered could change everything for them and for the entire world. This is a book where it's fun to go into it without a lot of knowledge. The story is told in a very unique way, as an unidentified interviewer grills each character about what has happened under their watch. While it sounds impersonal, it is actually a fascinating way to get to know each character and how they react under pressure. Neuvel is great at pulling away one layer at a time and raising the stakes with each decision the characters make. This story gives readers plenty of food for thought about power, technology, and the things we will sacrifice to reach our goals. I can't wait to see what happens in the second book. Jess Brightwell made it through training at the Great Library, the institution that controls all of the books and knowledge in the world. But things are not going quite as he had hoped. His best friend Thomas has been killed, his friend Morgan is locked away, and Jess isn't sure who he can trust. The Library is powerful, but it may not be good. Jess will have to decide which side to fight on, because the only certain thing is that the Library does not allow opposition. 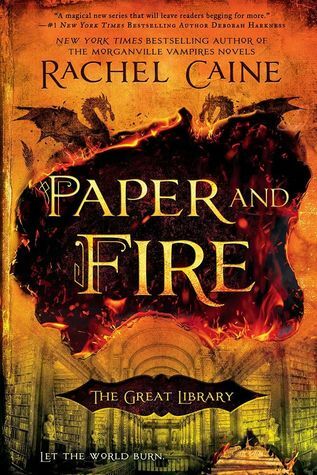 Paper and Fire has the tough job of every second book. It has to keep the plot moving, fill in some back story, and propel the characters towards the final adventure. I think this book thankfully did not succumb to the second book slog. The plot kept moving, even if the relationships felt a little surface. Best of all, Caine has imagined an incredibly rich world for Jess and his friends to journey through. Each city has its own feel and its own rules and there are people in each locale fighting to keep knowledge hidden or trying to bring it to light, all under the watchful eyes of mechanical beasts. 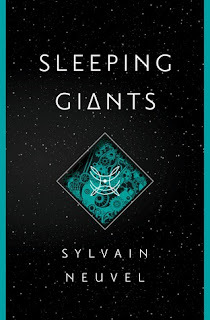 The third book promises to take us to places that the reader has never seen before and I will definitely be along for the ride. I think I like the world better than the character building too, but it makes for a fun read! 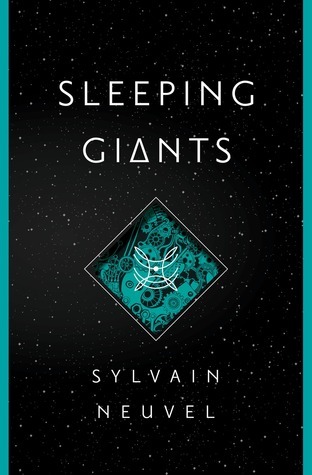 I've heard nothing but good things about Sleeping Giants. Definitely a book I would like to pick up!